Kyle Landreth is a fully certified & insured Master Electrician and that means that our clients can be sure all work meets or exceeds the newest standards set by the National Electrical Code. 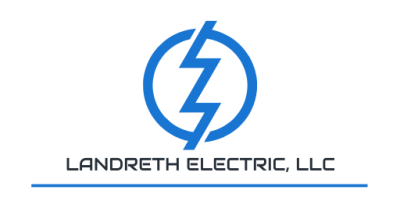 Landreth Electric was started in May 2017 and since that time, we have worked every day to build a successfull business one satisfied customer at a time. That means going above and beyond our clients' expectations. Making sure we leave the workplace clean, putting down mats and drop sheets and vaccuuming when the job is done are examples of what you can expect on every project we work on. Whether your project is large or small, residential or commercial, simple or complex, you can count on Landreth Electric to complete it on time, on budget and with utmost professionalism. Kyle did some electrical work at my house and I can honestly say he did fantastic work. He is efficient, trustworthy, and very reasonable! I would definitely recommend him to anyone needing electrical work done. Kyle Landreth and his crew have done such and amazing job on our home! So thankful to have a good, honest person and his crew to work on our home. Thank you guys so much!!! You guys are awesome! Would highly recommend to everyone.